Shaw and Reese are being hunted by Decima on Person of Interest. "Beta" is the 21st episode of the show's third seaosn. 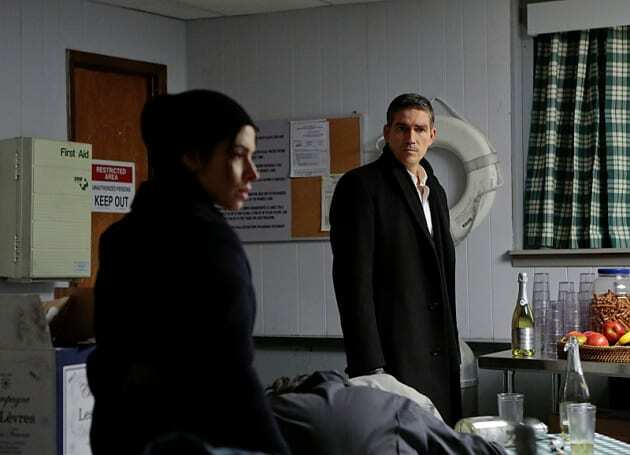 Person of Interest Season 3 Episode 21: "Beta"
You're in a situation you can't control that's larger than you can imagine. Sit tight and we'll keep you alive. Just remember, what our machine sees, Samaritan sees. Two gods playing with the same deck of cards.